1. 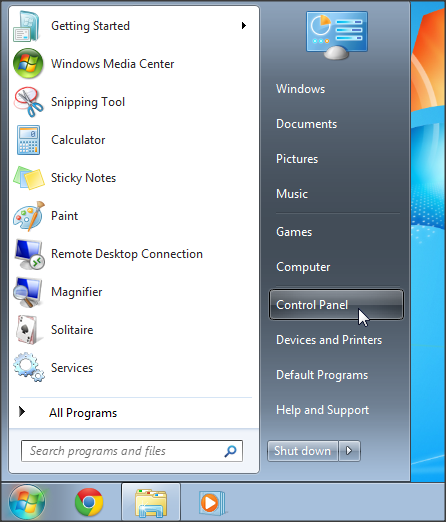 Enter the main Windows menu by clicking the ‘Start’ button and select ‘Control panel’. 2. 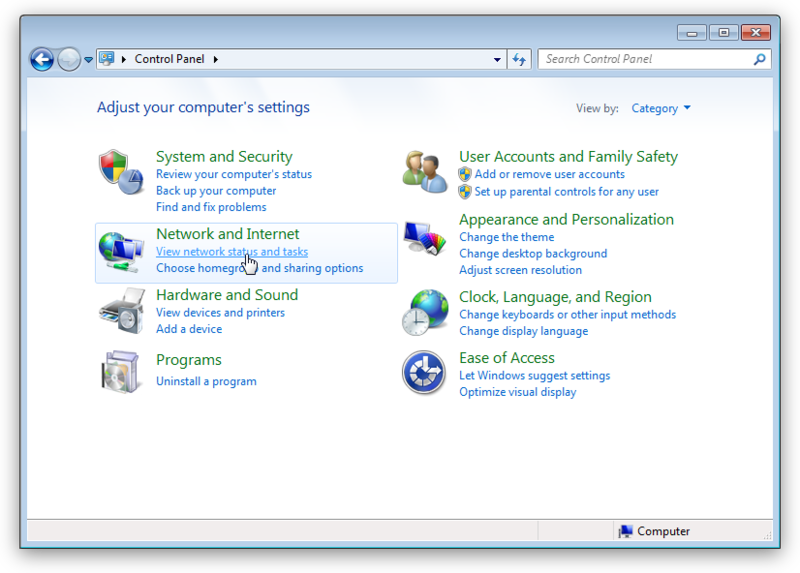 Select ‘Network and Internet’. 3. Now click the link ‘Change adapter settings’ on the side panel. 4. 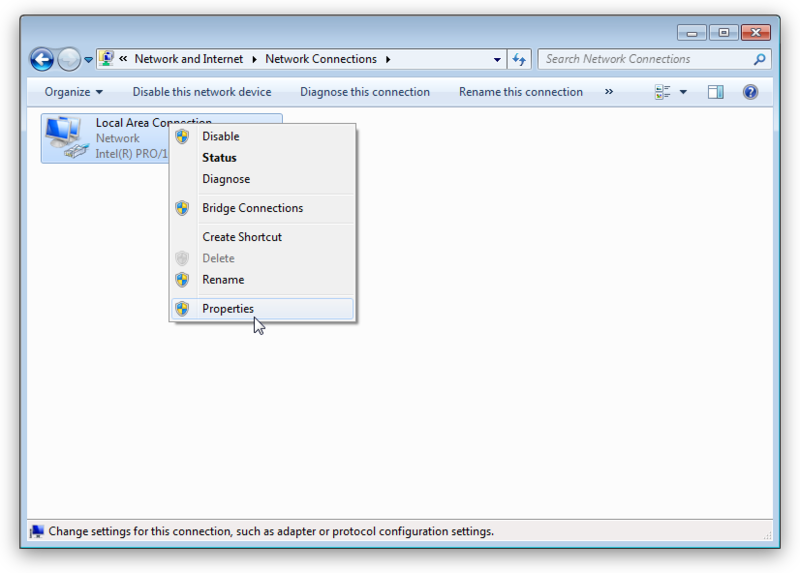 In the list that is displayed right-click the network adapter which connects you to the Internet and select ‘Properties’. 5. You will be shown a list of adapter properties. 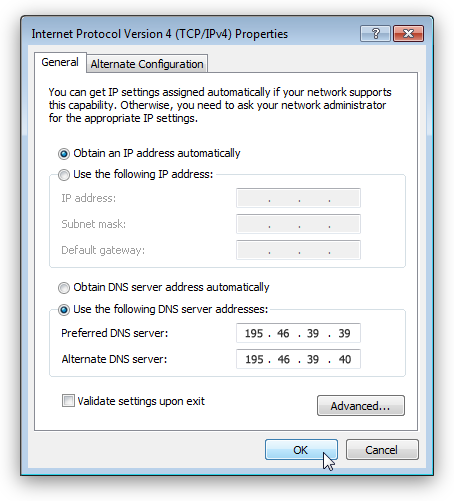 Select ‘Internet Protocol Version 4 (TCP/IPv4)’ and click the ‘Properties’ button under the list. 6. 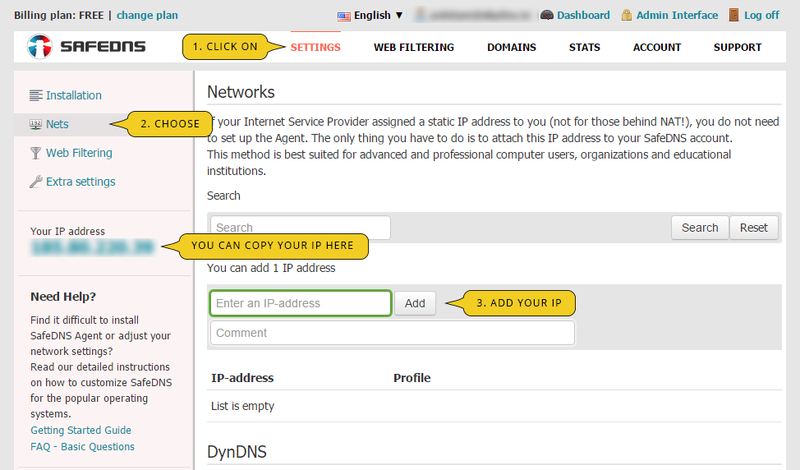 In the dialog box that is shown to you select ‘Use the following DNS server addresses’. 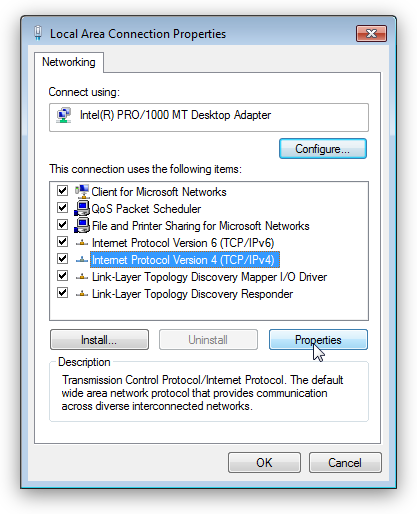 In the line ‘Preferred DNS server’ insert 195.46.39.39. 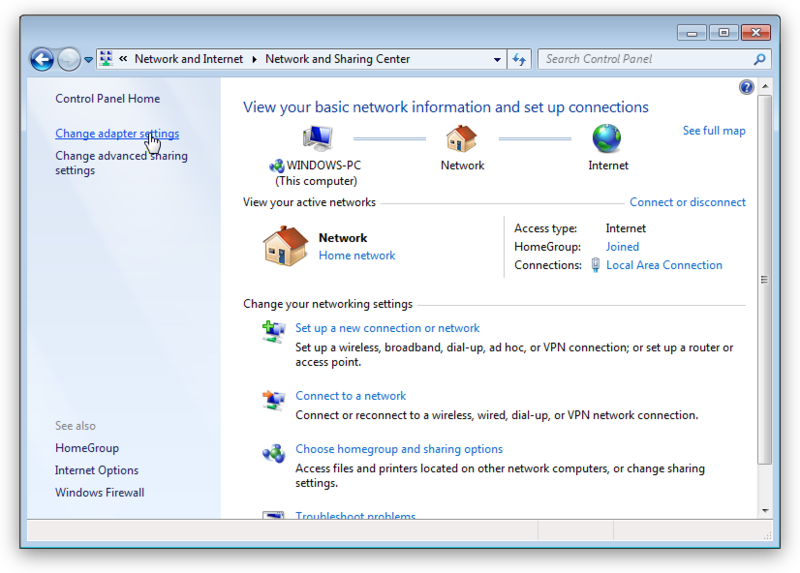 In the line ‘Alternate DNS server’ insert 195.46.39.40.